Developing and producing energy resources that benefit people the world over is our motivation – it’s what drives us. So we’re constantly pushing the boundaries of what’s achievable. Demanding more of the resources we use in an effort to create a more sustainable future. So as society’s need for energy continues to grow, we rely even more on our vast team of talented individuals who come together and make everything we do possible. From pipeline engineers and automotive experts, to analysts and technicians – everyone plays a pivotal role in our success. It’s our differences that power us. The experiences, skills and perspectives that make up our team all have their role to play. And when they come together, our future has no limits. And neither does yours. Geoscientists sending sound waves through the earth to find new oil and gas reserves. Engineers building platforms in the ocean for extraction. Traders anticipating and reacting to changes in the markets. We take on graduates and interns at every stage of the energy life cycle. And wherever you join us, you’ll start a career path that can really take you places. Play a vital role in every area of our business. Finding oil deep below ground and bringing it to the surface in Upstream, to processing it safely and efficiently and transporting it to customers around the world in Downstream. We asked our recruiters and graduates to pass on their top application and interview tips. Hi, I’m Ross O’Brien and I’m currently in my 3rd year of the UK Downstream graduate scheme. 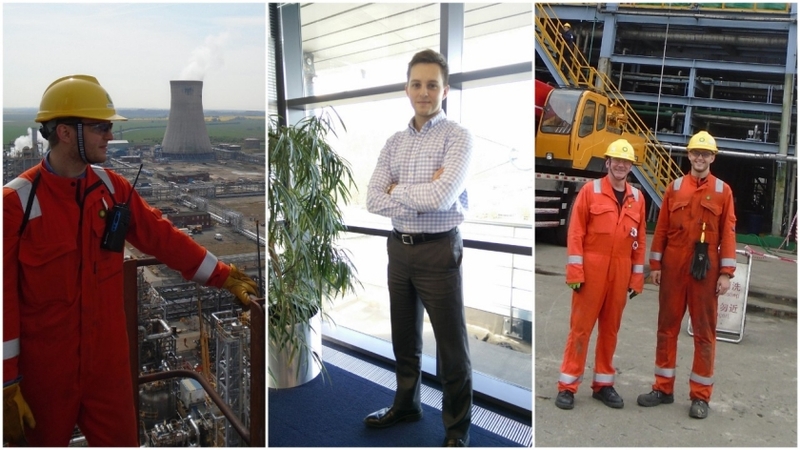 Since joining BP, I’ve had three separate roles within our petrochemicals business. All three have been aimed at developing technical skills but also at experiencing wider aspects of the business. And being a mechanical engineer, as long as it’s got hammers and spanners, I’m there! I’m not the only one too; there are about 40 Downstream graduates in the UK and many more across the globe. So how does the graduate scheme work? On top of being able to rotate around the business, the scheme also offers some technical and interpersonal skills training. But one of the best aspects is the team-feeling you get from being a graduate. There’s a real sense that we’re in it together exploring our careers. This is something that’s got even better over the past year with recent improvements made. At the moment I’m working in our global acetic acid team where we support our seven global BP and joint ventures plants. We’ve got plants in China, Taiwan, South Korea, Malaysia, USA, and the UK. Our team’s goal is to make them run safely and reliably. Aside from the regular emails and Skype calls, the team does get to travel and visit the plants. At the end of 2016 I got the chance to support one of our Chinese plants during their maintenance shutdown. Working in a new country with a different culture was an experience that I won’t forget. How has the graduate scheme helped me? Over the last 12 months, a new graduate-led committee has been working to improve the scheme. It’s developed an online community, increased the number of virtual sessions and added business-focused events. This has been really helpful because I can now easily get in contact with other graduates, learn and share experiences with them and also benefit from attending workshops. Last year there were two workshops, one aimed at developing skills and another aimed at learning more about BP’s UK business. At the skills workshop we learnt about different communication styles (including our own) and how to use these to make an impact. To cap it off we were thrown into a team activity where we had to quickly work together to pitch a business idea to a panel of BP leaders. The business workshop was held later in the year at Hull, focusing on petrochemicals, so it not only gave me the opportunity to show my fellow graduates where I work but also the chance to learn more about the commercial side of the business. This year we’ll be focusing on a new skill and visiting a different UK business. Some of these improvements are now due to be rolled out globally and I’m keen to see how other graduate communities benefit. It’s safe to say that there’s a lot of hard work, fun and great people involved with the graduate scheme. I’ve enjoyed every bit of it. After a well is drilled, completion engineers take over operations and are accountable for well safety, productivity and longevity. Join us and you’ll have the opportunity to work on record-breaking wells using cutting-edge technology. From sand control designs and well performance, to flow assurance and completion integrity, completion engineers solve challenging technical problems and build valuable skills. The graduate programme is working well for Diana. 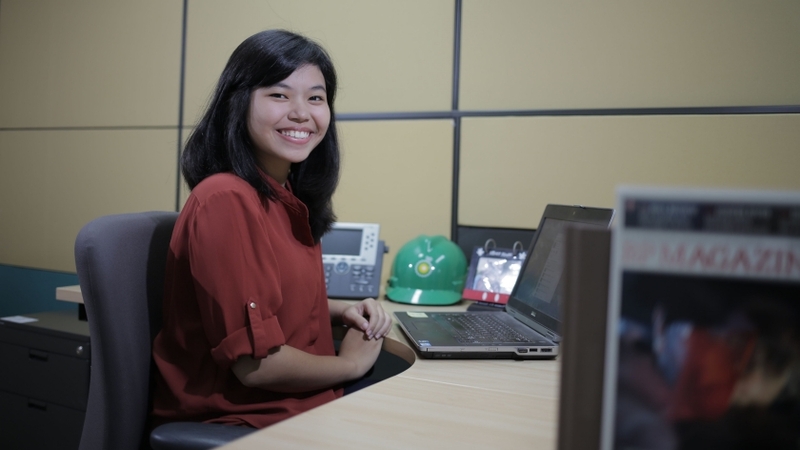 “It really transforms fresh graduates into professionals,” she says.